Spruce plywood is a type of wood that fits into the SPF (Spruce, Pine, Fir) class. It is also commonly known as “Whitewood” and tends to be very light in color. Of course, this depends on the exact species of Spruce being used, but in general it is a very lightly colored wood. Furthermore, Spruce plywood is known to be both lighter and softer compared to many other types of plywood, although it is harder than pine. However, this wood can work well for basic construction purposes, but only if used in the correct situations. Again, Spruce plywood is often used in basic construction projects. This includes boat hulls, ladders, oars, drywall framing, etc. However, some of these situations can get a bit tricky for reasons that will be discussed in the next section. Secondly, people often use Spruce wood or plywood to make instruments. In fact, it is one of the more recommended types of plywood in instrument construction because of its acoustical properties. It may be referred as tonewood, but tonewood is actually any type of wood used to make musical instruments. 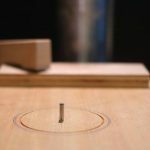 It has been proven to be great in making instruments sound good; examples of instruments that are built with this type of plywood include guitars, violins, pianos, mandolins, cellos, and various soundboards. Lastly, Spruce plywood is very often used to make specialized wooden aircraft panel, because of a great strength to weight ratio. In fact, the Wright Brothers’ first aircraft was made from Spruce. Once again, Spruce is often used in making boats and their accessories (oars, paddles, etc.). However, this type of plywood has very little decay resistant qualities. This means that, exposed to harsh weather conditions or water, this type of wood cannot be expected to last more than one to one and a half years before cracking, splitting, or rotting. Spruce plywood is also not recommended for any other type of outdoor use either. Not only does it stand up poorly to weather and water, but it also has very little resistance to insects, unlike the cedar plywood. This is also why Spruce tends to rot and decay easily. It is also not suggested for outdoor usage because of its susceptibility to heat as well as moisture and insects. This type of wood can burn easily under the right conditions. It also has a tendency to swell easily, which makes it susceptible to further damage to plywood, like splitting. However, because it is so light weight, easy to work with, and versatile in its uses, Spruce is a great type of plywood to use as long as the person plans on treating it right. Furthermore, as long as a person can avoid the conditions listed above, they well do just fine. Kept indoors, it can last a long time and provide excellent service in many different projects (ex. musical instruments, construction basics like flooring, dry wall, etc.). 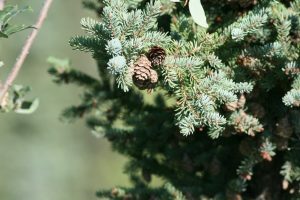 Spruce is very easy to get a hold of, as it grows in many different places throughout the world, including North America, Asia, Europe, etc. Purchases can be made at any local hardware store, although it may be called something other than just straight “Spruce plywood”.